The classes cover the basics of home finance, cooking, sewing, and suchlike. I could have used a few Adulting courses, back in the day. This entry was posted on 2018-10-06, 07:49 and is filed under Home Ec, Oddities. You can follow any responses to this entry through RSS 2.0. Both comments and pings are currently closed. 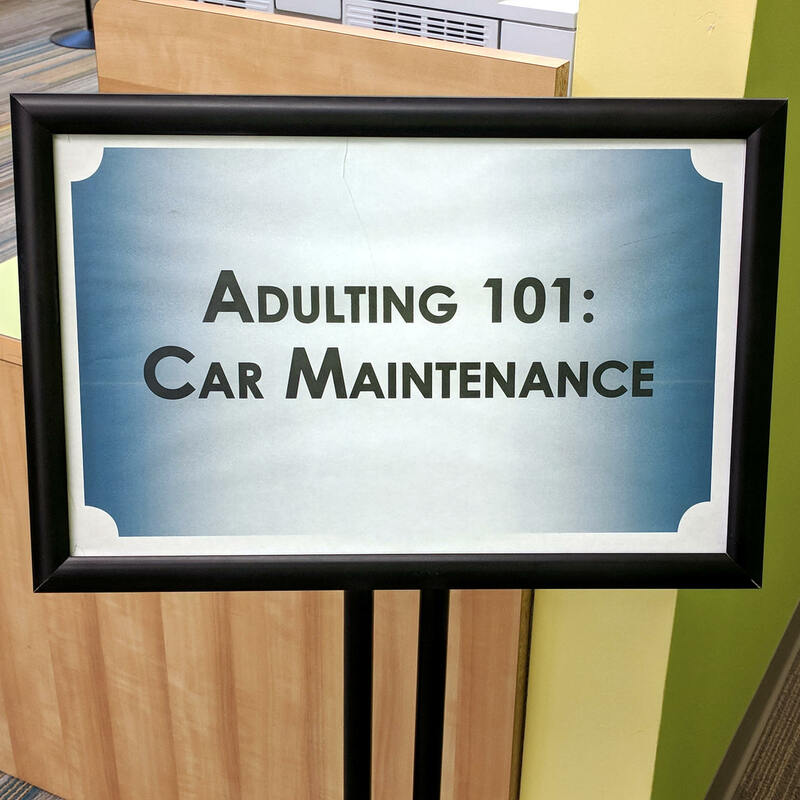 Our local community college (two years) did courses like that… I remember that back around 1968-1969 my mom took a course called “Auto Mechanics for Women”. It was free to her because my dad was a guest lecturer in the photography classes there. It covered two saturdays 8am-4pm in the college auto shop and included a lunch catered by the college cooking classes in their classrooms. She reported that the instructor first announced that the goal of the class was twofold and that they needed to be there for both saturdays… first, teach the student how to keep a car safe and reliable – i.e. basic maintenance. Second, how recognize if a repair shop was trying to scam them. The instructors covered where the gas, oil, water, etc went, how to interpret the gauges, and some basic theory of the engine, transmission, brakes and suspension. The most important thing? Keep the radio off and listen to your car! Each noise can tell you something! Note that the name of the course would definitely NOT fly these days… but the material definitely would. And not only is the auto shop no longer there (it’s now a ceramics and pottery shop), but neither are the classrooms full of stoves and ovens.